Warlords of Draenor: Take Charge of your Garrison! Followers are NPCs (non-player characters) that you recruit to join your Garrison. You’ll send them on missions to improve your Garrison and earn loot for your character. You can also allocate them to complete tasks—things like crafting or gathering resources, which they’ll do whether you’re online or offline. Followers have a character level, an item level, and traits that affect missions and tasks. For example, if they have the Mining trait, you’ll be able to assign them to a Mine in your Garrison to gather resources for you. There are common, uncommon, rare, and epic followers, and their rarity affects the number of traits they can have. To run an effective Garrison, you’ll first need to recruit followers. Some will make their own way to your base, but you can also upgrade your Inn to attract more followers. You can also win followers to your cause as you progress through the game’s story, when completing quests, or simply by coughing up the right sum of gold to hire mercenaries. When they’re not away on missions, your followers hold down posts at your Garrison, where you can visit them at any time. A major goal for the Garrison system is for followers to be dynamic and interesting—for example, if a follower fails a mission that takes place in a local dungeon, they might be taken prisoner; the next time you adventure in that dungeon, you’ll be able to rescue them. You’ll send your followers on missions for varied purposes. Successful missions will give you the resources you need to keep developing your Garrison, but you’ll also have the chance to acquire powerful loot for your character, and your followers will gain experience for each mission they run. The resources you’ll acquire during missions include both existing crafting reagents and Garrison-specific materials. For example, if you assign a follower to a mining mission, you could receive ore, but you might also unearth stone, a new kind of resource used to construct and upgrade buildings. Though followers are great for solo play, the system also has multiplayer elements. When you dispatch a party of your followers on certain missions, you’ll also be able to join forces with your guildmates’ followers, even if your guildmate is offline. Followers grow in power in a way that mirrors players’ progression. From levels 90–100, followers will gain character levels, which have a significant impact on their abilities and mission success chance. They’ll also increase their item level as you equip them with follower-specific gear; once they’ve reached level 100, equipment will have a larger role to play in their overall effectiveness. Buildings are the individual “pieces” of your Garrison—Stables, Farms, Mines, Armories, and more. They improve your ability to recruit, use, and train followers; to craft; to complete missions; and to run missions more quickly by reducing your followers’ downtime. 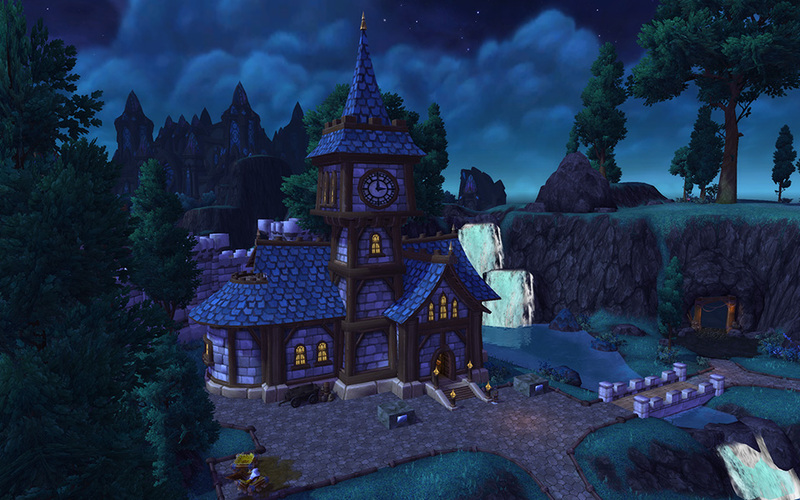 Each building in your garrison can be upgraded, which amplifies its mechanical effect and visuals. For example, an upgraded Barracks will grow bigger and more impressive, but it’ll also increase the number of followers you can send on missions at one time (for example, 5 followers at once for a level 1 Barracks, then 7 followers, then 12—though the exact numbers are still in flux). Buildings in your Garrison can be placed in a number of configurations. You can only place small-sized buildings (primarily crafting-related) on small plots; a larger building, like a Barracks, won’t fit. Bigger buildings can be constructed early on—even a “starting” Garrison has room for a large structure. As your Garrison increases in level, you’ll get access to more and larger building space, and increase the versatility and power of your holdings. Garrisons are visually distinct depending on whether you’re a Horde or Alliance player, and you’ll be able to place your Garrison in one of several zones on Draenor. You’ll also specify your Garrison’s layout (the physical location of buildings within your Garrison’s walls), and select the buildings you’d like to include. Choosing to “spec” your buildings (more on that below) will also change cosmetic aspects of those buildings, like furniture types and decorations, in addition to imparting different gameplay effects. Garrisons can be shown off to same-faction players in your party, who can walk around your base, converse with your NPCs, and appraise your layout. You’ll have a reason to show your Garrison off, too: trading resources. For example, if you have extra building resources, you’ll be able to bring them to a friend’s Garrison and exchange them for materials that you need. When specializing your Garrison’s buildings, you’ll choose a variant on the bonuses and abilities the building provides. For example, one Mine specialization might make your miners gather ore faster by the hour, while another will increase the chance that your workers strike a rare mining node. Several buildings can provide you with access to professions that your character hasn’t mastered—though you won’t have enough plots to put one down for every profession. 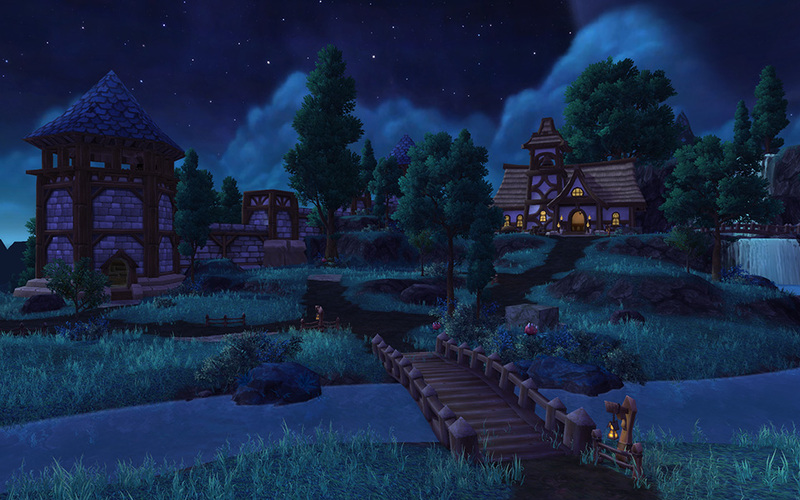 As you begin building up your Garrison, we expect that you’ll interact with it quite a bit. However, over time, it’s expected that your interaction will become more casual. At lower levels, your missions are on shorter time cycles (minutes, hours or days); once your followers have reached high levels, it’s likely that you’ll send some of them off on longer raid missions for a week at a time. We want garrisons to be important, but our goal is a system that’s easy to enjoy without being extremely intensive. Plant Your Flag on Draenor! Your Garrison will be woven deeply into the storyline of Warlords of Draenor, beginning when your faction leader commissions you to establish a beachhead on this alien world—but the ultimate fate of your personal fortress on Draenor is entirely up to you. After watching the content they are putting in, it could be worth a visit back to WoW. Garrisons look neat and te character model upgrades all look nice, too. That along with a free character to 90 means everyone can jump right in and you could pick a new class if you wanted to.